FSP is a veteran-owned small business. It began in 1987 as "Fire Service Publications" selling books to the Fire Service. As time went on our product line broadened to include videos and products of interest to police and emergency medical services. In 1992 we became known as "FSP Books & Videos". Since day 1 our goal has been the same: treat customers with respect, share our years of knowledge, offer top of the line service and earn their repeat business. Our mail-order catalog is read by tens of thousands of professionals and enthusiasts around the world. If you'd like to receive your own, you can sign up here! 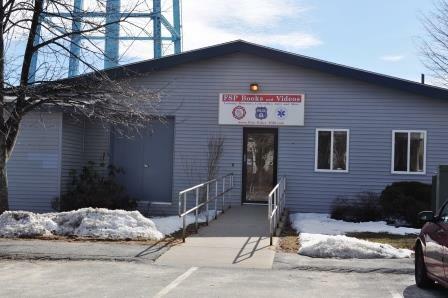 FSP's headquarters is in beautiful Hudson, Massachusetts [directions] (approximately 4 miles from the from the Massachusetts Firefighting Academy and about 1.5 miles from Route 495), and is where we stock thousands of texts, DVDs, clothing, collectibles and more. If you're in the area, stop in and check out our newly renovated showroom. If you're not in the area, no problem. We ship orders across the country and around the world every day.